I don’t see religion as the opposite of science, but as a mechanism for very complex ideas to be considered. Over the millennia religion has helped countless people deal with the pain of loss and created comradery to help people who need assistance. Obviously I can also think of many terrible things that have been delivered under the guise of religion. We can see today how angry, disenfranchised or ignorant people can be deformed by hate, xenophobia or fear supported by the words and deeds from some who chose to use religion to further their own personal power desires. I am always shocked when groups who consider themselves “religious”, actively deny knowledge because it contradicts what their religion states. Given that there are many thousands of versions of religion in play today, and probably many millions that have been in play throughout human history, it strikes me as ridiculous to believe that any one version is perfect. This does not mean that I wish to ridicule the idea of religion, I do not. I see theology as an extension of philosophy, and where it is applied with care it clearly can really offer comfort and meaning to many groups. But that does not give religion a special pass, like everyone else, religious followers must work to improve humanity and the universe, and not detract from happiness and health in any way. From a purely observational point of view, I see the idea of evolution to be entirely consistent with what we observe every day. While the time it takes for random mutations to impact a species in material ways is far too long to observe easily, it is though clear that any number of mutations that take place within each organism are clearly observable. One of the basic skills in understanding disease is to understand mutations. Viruses mutate constantly, making treatment a continual fight to deal with resilience. Cancer is now known to be (generally) a kind of cellular mutation where the bodies own defenses don’t see the mutated cells as an invader. Nearly every mutated cell in the body is of course quickly dealt with by the immune system, and it’s only the ones that by chance continue to look enough like the body’s own healthy cells that are not attacked and hence cause issues. Birth defects caused by environmental changes (drugs, chemicals, radiation etc.) are common enough that we can see them. Today the human race is diverse to the point that a change in the environment or the emergence of a deadly pathogen is unlikely to eradicate all humanity. It could of course, but the more diverse we are the less likely this is. Science though has the potential to standardize the human race, in effect removing the very deep level of diversity that actually may protect us from extinction. We are today standardizing our food, with everyone eating similar plants and animals. Since we all use the same drugs, we are eradicating specific diseases and potentially the bacteria and viruses that could impact future diseases. Science is not perfect, and the things we change at the macro level may come back and hurt us in generations to come. Or science may actually be the only way that the human race can survive. No one knows. Today’s quality and length of human life have never been better. There are more people alive today than ever before and they are living longer, putting a new level of strain on available resources, requiring new levels of food production, causing new levels of environmental change, requiring more food to be produced in a smaller area, in a cycle that shows no end. It’s a deeply philosophical conundrum, and maybe using the concept of an outside influence to help understand the universe we find ourselves a part of is a good thought exercise to help frame the issue. In the 1980’s and into the 1990’s there was a movement in technology towards objects. The idea was than any and all data, applications, devices etc. could be broken down into a series of discrete pieces of information, and the use of this information could be described in a consistent way. This would allow everything to work together harmoniously without complex pre-work to describe what everything was. The issue (at that time) was that for most types of data the meta-data to describe it was actually much larger than the data itself, and this was a huge problem when networks were slower than the spoken word and data storage was more expensive than postage. So the idea slowly died and morphed, and we have been left with a really messy series of standards which make sharing data and devices complex and expensive. Now I know that I am paraphrasing the whole issue here, but there is no doubt that where we are, is not where we want to be in terms of integrated systems. Imagine if every piece of data was wrapped in a consistent set of metadata (data about the data). Imagine if you were sent an email with a specific type of data attached to it, that the data would self-describe its value, keep a record of who created it, what application was needed to use it, and even where the code to use it resided. Imagine if every internet connected device could provide details on its use, location and current state when asked. So when you enter a house and you could automatically be part of that houses network. Your environmental preferences would automatically be shared with the house, and your entertainment preferences would be available on each device in the house. Obviously assuming that you had the approval of the houses prioritized users. Imagine that when you program your phones map app to take you to a specific place, your diary and the diaries of everyone you are meeting that day are automatically updated with travel times and arrival times. And the systems in the place you are going to are updated with your drink and food preferences and a desk is reserved for you automatically for when you arrive or the meeting room you are planning to use is automatically chosen based on the number of people who are meeting. Imagine if in an emergency all the connected devices in a building on fire could be viewed by those trying to help. Every temperature sensor and video feed was automatically available to them, and any phone picked up would automatically connect to the on-site emergency teams without any buttons needing to be pressed. All water, gas and power would be selectively turned off or on by the emergency teams as needed. Imagine if the sensors in every car, street light and road sign were shared amongst themselves, providing a mesh of knowledge available to every road user, and that journeys were planned with the knowledge about the current conditions, dynamically updated with the planned journeys of every other road user. Imagine if a doctor was able to review the health data of a patient collected by the patients watch, phone, home and pharmacist building a profile of the patient’s history to help diagnose from subtle changes in their physical condition important early diagnosis of problems allowing for much better treatments. If every piece of data and every internet connected device could describe itself in a consistent and meaningful way, the possibilities are endless. There are of course risks associated with easier communication, risks that actually may be greater than the benefits. It’s almost an evolutionary level risk. Within a species a continual flow of random mutations creates the likelihood that some variants will survive in any type of changing environment or to put it another way diversity is good. If all information systems were to follow a single standard, then the possibility would exist of total destruction of the entire system. We have already seen that computer viruses designed to attack windows systems can impact millions of systems at the same time. Smug mac users have always felt safer, but that safety only comes from the simple fact that they are a separate sub-species. It is very hard for an infection to spread across species (biological or technical), but in a world where all data and devices were unified behind one standard, that standard itself could become a risk. The value of total interconnectivity is immense, but the implications of everything being compromised would be too terrible to consider. Is it possible to create an interconnected would that is secure enough to be viable? That is the cold war not just of this century but probably for the whole future of humanity. Each cell in the human body contains a strand of DNA that contains about three billion pairs of molecules organized into forty six chromosomes. Each molecule is around 0.000000002 meters in length. All this is bundled up in a twisted corkscrew of two strands entwining each other. If you could stretch out those two strands they would reach about two meters in length. When you consider that there are about 10000000000000 cells in the human body, the length of these end to end would be about the same as the distance between the Earth and the sun, SEVENTY TIMES. That’s a lot of information, and frankly an unimaginable distance. There are some people who I could imagine testing this theory on experimentally…..
…Or will Mr. Gore just be best remembered for being a hilarious “head-in-a-jar” (a preachy, boring one at that) on the animated TV show Futurama? Eyes are amazing devices. When you look around your eyes focus on what you are staring at directly, and everything else you see becomes softer in focus. But as soon as you move your focus the new thing you are looking directly at comes into focus. Continually your eyes are moving changing the place you are focusing on. Everything in your field of vision is available to focus on. But when you go to see a 3D movie. The director (through the lens of cameras) has chosen what you should focus on, keeping everything else in soft focus. This is okay for a flat image, because it shows you where to look on the screen. We have become used to it (to some extent) and see it as artful direction. 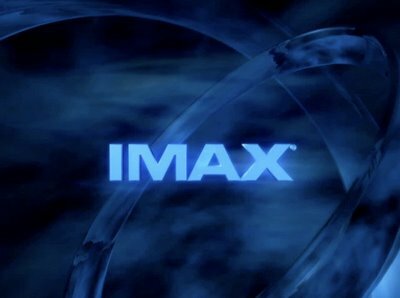 But when we go to see a huge screen (such as an IMAX movie) in three dimensions, this just does not work. When you are looking at a massive screen in 3D and only a small proportion of it is in focus, it is just annoying. The issue is that for a 3D movie to be totally immersive, you need to be able to see everything in sharp focus, not just the center of the director’s intent. When you are watching a forest in a movie (such as Avatar) you want to see all the vines in sharp focus. This gives you the impression of being totally immersed in the movie. But the director chooses to keep just the section when the camera is focused in sharp focus and the rest in soft focus. This just ruins 3D. Now when a scene is computer generated (CGI) there is no reason to create a depth of field. And when they choose to keep everything in focus, it works so much better. 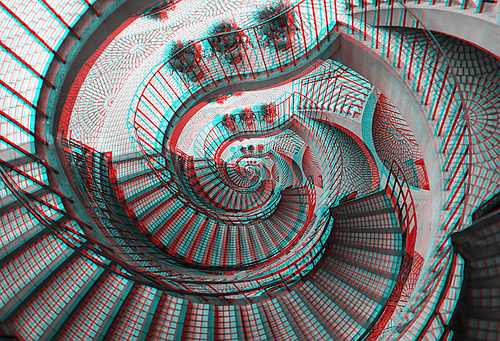 All of a sudden you are totally immersed in a 3D world. That’s how 3D should be! The only 3D movies worth seeing on a big screen are computer generated. Cameras with lenses need to be focused on a specific spot. That technology just doesn’t do it for 3D. As filmmakers learn to shake of the shackles of 20th century movie making and adopt a pure system for 3D making, the genre will have a future. If they continue to hold onto depth of field photography along with low frame rates to add creative blur to movies then the life of the cinema may be coming to an end. If when you go to the movies to watch a 3D movie, and you find the effect makes you a little queasy then that is because of the low frame rate, and forced soft focus. If the whole image is created using CGI and is at a faster frame rate, you would feel you were part of a 3D world on screen, and not on a rollercoaster of blur and enforced head shaking movement. 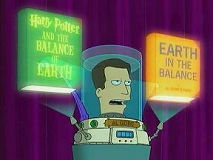 I suspect the move to create move immersive 3D movies has a couple of groups fighting against it. Firstly there will be those who are firmly convinced that “traditional” rules are film making must be enforced, in the same way that those who though movies were better without sound fought for their art (and the jury is still out on that one of course). And secondly if a movie is made to be an immersive 3D experience (as I’ve described) the costs of production would be much higher and the resulting film wouldn’t look as good without a massive 3D screen, reducing the revenue possibilities from smaller theaters and home viewing. 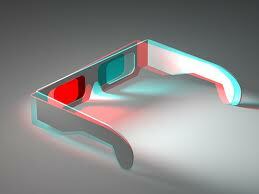 So the chance of seeing really great 3D is limited my tradition and greed. Two huge factors which are (if history is any guide) likely to win. The universe is amazing, in terms of just how big it is, and also how small it is. When we look at the amazing large scale of everything we can see, think just how big it is. When you consider the size of the universe, the speed of light becomes so small. It takes many lifetimes for light from other galaxies we see in space to reach us. This means we have no practical way of knowing what the universe really looks like at the moment we look at it. What we see happened a long time ago, in fact many long times ago. We see light arriving from many different places, all from different times. What we see is therefore an illusionary moment in time. And that makes our view of the universe… illusionary. We can only assume what the universe looks like at any moment. Time really isn’t the constant we think it is. So lets look at the other end of scale. 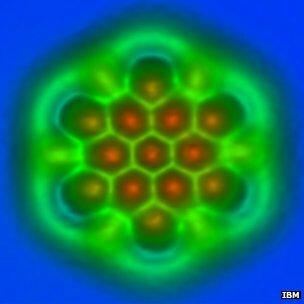 When we look at molecules we see they are made of atoms. And when we look at atoms we see they are made of electrons, protons and neutrons with a lot of nothing in between. And when we look at electrons, neutrons and protons we find they are in themselves made of other things, which we have given even more amusing names. And it turns out even these “things” are made of other things. How deep the rabbit hole goes is anyone’s guess. But the more we find out about the way matter is, the more we see the edges of other ideas of other dimensions and other ways of perceiving. The space in-between the massive and micro scales where we perceive and spend our thinking lives is still an incredible space, and the more we learn and push the boundaries the more meaning our existence has.